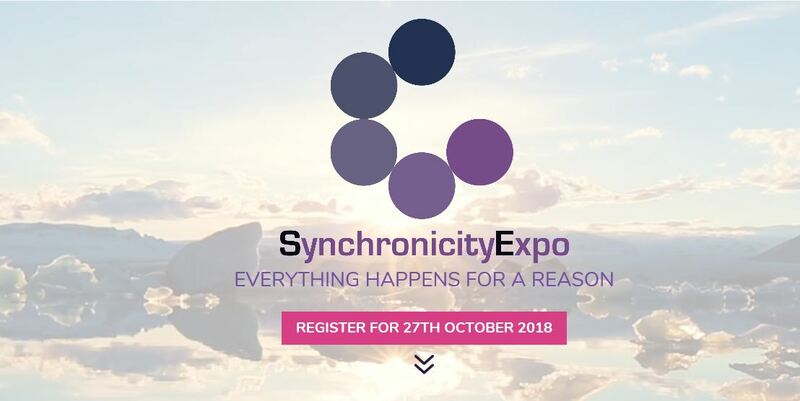 Myself, Dr Penny Sartori, Dr Michael Arnheim, Ewan Mochrie and Graham Nicholls will be involved in an all-day event at the Lane End Conference Centre, Church Road, Lane End, High Wycombe, Buckinghamshire, HP14 3H facilitated by Synchronicity Conferences. Early Bird tickets will be £115 (an offer that will end on Tuesday 31st July 2018). From then tickets will be £135. Homo sapiens first graced this planet around two-hundred-thousand years ago. During that time we have learned much about ourselves and the universe. But today we face a stark choice, and it is what we have learned about the nature of reality that is bringing this choice into sharper focus. The world that we live in does seem simple enough. You exist, and so do other people. There is a multitude of objects, big and small, which move (or not), in space, and everything happens over time. It seems to be classically Newtonian and mechanistic, even like clockwork. However, this simple, easy-to-understand clockwork representation of the world is not really how everything works. The most successful scientific theory ever, quantum physics, tells us that the future exists as a wave function of potentiality, and that it is our consciousness that converts it into something that appears to be material. At the same time, science is also having a tough time telling us what our consciousness really is. On top of all of this, Near-Death and Out-of-Body experiences seriously challenge the ‘brain-creates-consciousness’ model of reality. Our materialistic, reductionist philosophy has been spectacularly successful for five-hundred years. With methodical discipline, science has brought humanity to the very edge of reason, but we are left a little baffled by what we see. Surely the mystics cannot be right after all…can they?